From Goodreads: Despite the tumor-shrinking medical miracle that has bought her a few years, Hazel has never been anything but terminal, her final chapter inscribed upon diagnosis. But when a gorgeous plot twist named Augustus Waters suddenly appears at Cancer Kid Support Group, Hazel’s story is about to be completely rewritten. My friends told me I had to read this book. That it was one of the best they’d ever read, that I’d fall in love with the characters, that it’d leave me feeling broken and sad, but that I’d love it just the same. And so, I put it off for quite some time because I don’t really enjoy being sad. I also don’t like to physically borrow books from the library because they aren’t mine, and the ebook of this one was just too much money, in my opinion (at no point do I think ebook prices should be comparable to the paperback price). But then there was a sale and the ebook dropped down to only $3.99 on Amazon (and it’s still this price), so I scooped it up and, one Friday evening not too long ago, started reading it. Initially, it didn’t pull me in. I wasn’t in love with the characters, the plot was like so many I’ve read before, and I just didn’t see what everyone was talking about (and I do mean everyone). Hazel didn’t tug on my heart strings—in fact, she was presented in a way that made me dislike her. Catty and unforgiving, she jerks her parents around and has all but given up, even though she has a second chance at life. I couldn’t understand her. Augustus was interesting, but he seemed unreal, almost forced to me, and I sighed and thought this was going to be one of those instances where I just didn’t feel the same as the whole world around me. And then, at some point while I was reading (and I honestly can’t pinpoint it), I became irrevocably attached to the characters. Augustus seems to bring out the best in everyone around him, and Hazel’s snark stopped getting on my nerves and I began to love her, and all those around her. They jumped off the page and became real. And then, as John Green has a tendency to do, he ripped out my heart and left me blubbering for hours into the night, blowing my nose, soaking my shirt in tears, hiccupping for breath. 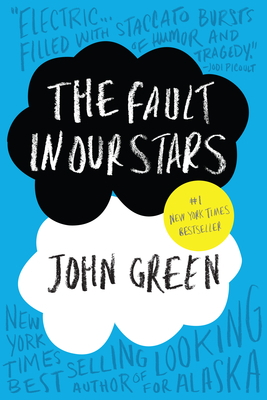 The Fault in Our Stars is just that touching, and it truly left me breathless. And while I didn’t fall in love with the story right away, I definitely did fall in love with it. My friends were right, as they usually are. This is an amazing novel and I highly suggest you read it if you haven’t. I just hope the movie rendition does it justice, because this is a very powerful piece. Five amazing stars. This is my favorite book of all time. Genius. Beautiful. I hope John Green writes more of this.